STELLENBOSCH, South Africa - The men who reigned over South Africa's wineries were amused by the former ski instructor from Alberta who was trying to break into their ranks. 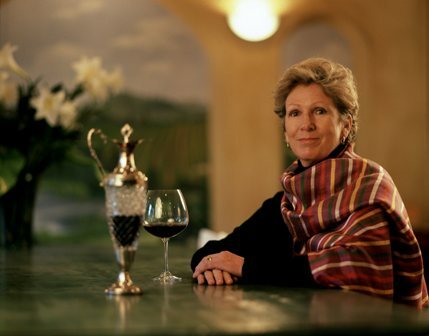 She was a foreigner, and she was trying to convert a fruit farm into a winery -- and she was a woman in a male-dominated industry.” I was a bit of a novelty -- like their mascot," says Norma Ratcliffe, the first female winemaker to become commercially successful in South Africa. "They couldn't believe that I was making this fabulous wine.” A quarter-century after selling her first bottle of wine, the self-described tomboy from Edmonton, Alberta is today seen as one of the pioneers of contemporary South African winemaking, an industry that has boomed globally. Her company, Warwick Estate, has gained recognition as one of the best wineries in the world, with its products often landing in the annual top 100 lists of leading wine magazines. Even in the midst of a global recession, her winery is expanding, adding new buildings to boost its capacity by 30 percent. And now she is helping other women breach the barriers to South Africa's wine industry in a mentoring project that involves apprenticeships and networking events. There are 50 women winemakers in Stellenbosch alone, she says, yet none have been invited to join the Cape Winemakers Guild, the elite group of South African winemakers. Ratcliffe is still the only woman in history to become a member (and chairwoman) of the Cape Winemakers Guild, which remains a highly exclusive body. "I think it's very bad," she says bluntly. "It's disgusting. They've never had another woman member. The attitude seems to come from the young guys, not the old guys. I'm after them all the time about it. "Ratcliffe, a science graduate from the University of Alberta and a former competitive skier, was running a restaurant on an island in Greece when she met Stan Ratcliffe, a South African who owned a 200-year-old farm in a stunningly beautiful valley near Stellenbosch, capital of the South African wine industry. They were married in Edmonton in 1971 -- in the middle of a blizzard, to the shock of the South African family members -- and then settled at his farm, where they grew pumpkins and cabbages and drove them to local markets at dawn. They soon began to take an interest in wine, planting grapes vines and making experimental wines throughout the 1970s and early 1980s. Lacking any background in the wine business, Ratcliffe started at the bottom. She took classes in winemaking, pored through books, bought second-hand equipment, learned to fix pumps and patch leaks in barrels and worked for months at a wine cellar in the Bordeaux region of France. In 1984, she released the first Warwick vintage, a cabernet sauvignon, which became an instant hit. She credits the valley's rich soil, and the help she got from generous neighbors, as big factors in her success. But she was also innovative: she was one of the first South African winemakers to make Bordeaux-style blends and to put wine into French oak barrels. Her true genius, however, was the branding and marketing of her wine, which soon built an international name for Warwick. Her winery created the First Lady and Three Cape Ladies vintages, a reference to her pioneering status and her daughter and granddaughter. One of her most famous wines, Warwick Trilogy -- a blend of cabernet sauvignon, merlot and cabernet franc -- has become a South African flagship brand and has been served at state dinners.